Bored? Stop Playing It Safe! If you have not yet seen the film Hidden Figures, I’m telling you that you really should! This story of three brave females who rose to excellence in a world that both their gender and their race told them they didn’t belong. Their very lives were the epitome of redefining a woman’s strength. As I pondered on the amazing courage and resilience these ladies displayed I did a little more reading and discovered another lady of that era who entered the same world they did NACA (a precursor to NASA) whose reflections on the time period offered great insights into what it took to excel when others believed they couldn’t. Above her obvious intellect and ability what I find so inspiring was her attitude. It was not that she ignored the prejudices and injustice that existed, she merely decided that they would not limit her. They would not dictate the course of her life. I doubt her attitude changed those who came against her, who questioned her place in life or looked at her with disdain. Her attitude simply eradicated their effect. She did not allow others’ foolish opinions to make her a victim. Like the ladies in Hidden Figures Annie walked into a world that was not her own, while doing so offered an example to all who are faced with an uphill climb. Born in 1933 in Birmingham, Alabama, she was told by her single mother that she could be whatever she wanted to be if she worked hard enough. She believed it, and that she did. Before completing her degree in pharmacy at Xavier University in New Orleans, she married and moved to Cleveland only to discover the university there had closed it’s pharmacy program. Undeterred, she determined this was not a roadblock but a detour; she would simply seek another career. An article in a Cleveland newspaper about twin sisters who worked as “human computers” at NACA (the predecessor to NASA) caught her attention. She applied and was hired for the job, one of only four African Americans of the 2,500 employees at NACA. 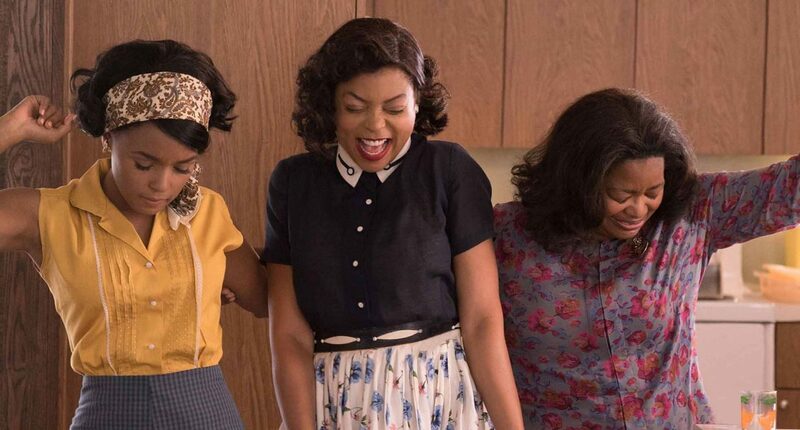 She, as well as the ladies of Hidden Figures, was tasked with making calculations for the scientists as they developed the technology for rocket propulsion. But Annie, not being content with calculating for others, continued her training to become a computer scientist in her own right. In fact, she developed and implemented a computer code that analyzed alternative solar and wind energy technologies for electric vehicles, and was assigned to determine the life use of storage batteries. Her work on the latter paved the way for the battery development of modern Hybrid cars. …she walked into a world that was not her own, while doing so offered an example to all who are faced with an uphill climb. Born before the civil rights laws of the 1960’s, as both a woman and an African American, she had plenty of reason to believe there were limits to her career trajectory. There would have been many telling her that the hurdles she faced were insurmountable. There were those who thought by the reality of her gender and her race she was incapable of the task at hand. But the fact that she put those imposed limits aside to pursue what she knew she could do should inspire us all. It is often not the influences and attitudes of those around us that keep us from becoming what we are capable of. It is our acceptance of their truth, the belief in their value. It is allowing ourselves to become a victim to their opinions. It is also our commitment to the tasks ahead. But even above her obvious intellect and ability, what I find so inspiring was her attitude.